Visa applications can be submitted by mail. Applications must include a self-addressed stamped envelope. The Tourist Card is an entry fee charged by the Dominican Republic for those who visit the country for tourism purposes only. It can be obtained online at https://www.dgii.gov.do/Tturistaweb/ or directly at the airport upon arrival in the Dominican Republic and payed for in US Dollars. Some Tour Operators include the Tourist Card in their travel packages. You must also present a valid passport when entering the Dominican Republic. Who can enter the Dominican Republic with ONLY a tourist card for tourist purposes only? Any person who can legally travel or reside in the United States, Canada and the European Union (including Great Britain) does not need a visa to visit the Dominican Republic for tourist purposes and can enter the Dominican Republic with a Tourist Card and a valid passport. Tourist visas are issued for tourist and cultural trips and for attendance to conferences or conventions. They are valid for one or multiple entries within 60 days of issue. Beneficiaries can not perform lucrative activities in Dominican territory. Visa Form filled and completed in type or clearly printed. One (1) frontal picture size 2 x 2 inches, with a white background. Original passport valid for at least the duration of the requested visa or longer. In the case of minors, permission of the parents or guardian when the applicant is not the mother or the father. This document must be notarized, translated into Spanish and both the original and the translation Apostilled. Alternatively, once the original document is Apostilled it can be sent for translation by the Consular Section (see translation services). Legible photocopy of National Identity Document of the country of nationality and legible photocopy of the Residence Card if residing in a second country. Legible photocopy of hotel reservation. Legible photocopy of booked flight. Legible photocopy of former Dominican visas or residence card (if renewing or have previously traveled to the Dominican Republic). Criminal Record Certificate issued by the appropriate authorities of the country in which the person resides at the time of application. This document must be notarized, translated into Spanish and both the original and the translation Apostilled. Alternatively, once the original document is Apostilled it can be sent for translation by the Consular Section (see translation services). Visa application letter from the beneficiary addressed to the Consular Section containing name, nationality, place of residence and occupation, as well as purpose of traveling to the Dominican Republic. Between 10 and 15 working days depending on date of travel, prior requests and staff availability. Multiple entries are provided for tourists from cruises or those that require to enter and exit the country more than once during the period of the visa. Visas for the purpose of requesting residency are issued for travelers whose intention is to establish in the Dominican Republic permanently. They are valid for one entry within 60 days of issue. Once in the Dominican Republic, the beneficiary of this visa must visit the Department of Migration within the 60 day period to apply for a provisional residence permit and complete additional local requirements. Medical Certificate showing a diagnosis of the overall health of the applicant, indicating if he or she suffers from any contagious disease. It must be issued by the health authorities of the country in which the person resides at the time of application. This document must be notarized, translated into Spanish and both the original and the translation Apostilled. Alternatively, once the original document is Apostilled it can be sent for translation by the Consular Section (see translation services). Criminal Record Certificate issued by the appropriate authorities of the country in which the person resides at the time of application. This document must be notarized, translated into Spanish and both the original and the translation Apostilled. Alternatively, once the original document is Apostilled it can be sent for translation by the Consular Section (see translation services). Not required for minors. In the case of minors, permission of the parents or guardian when the applicant is not the mother or the father. If the child is not to be accompanied into the country by both parents, it is required that the parent who is not in the Dominican Republic authorizes the other parent to move with the child permanently to the Dominican Republic. This document must be notarized, translated into Spanish and both the original and the translation Apostilled. Alternatively, once the original document is Apostilled it can be sent for translation by the Consular Section (see translation services). Birth Certificate. This document must be notarized, translated into Spanish and both the original and the translation Apostilled. Alternatively, once the original document is Apostilled it can be sent for translation by the Consular Section (see translation services). Marriage Certificate. This document must be notarized, translated into Spanish and both the original and the translation Apostilled. Alternatively, once the original document is Apostilled it can be sent for translation by the Consular Section (see translation services). Dominican marriage certificates must have been issued within the past six (6) months by the nearest office of the Central Electoral Board (Junta Central Electoral). A photocopy of the National Identity Document of the spouse of Dominican origin or if a legal resident a copy of the permanent residence card of the spouse must be attached. Notarized Letter of Guarantee. Signed by a Dominican or a legal resident alien in the Dominican Republic specifying the type of relationship with the beneficiary of the visa. Also, the guarantor certifies to the Dominican authorities to undertake any expenses incurred on account of the visa beneficiary. The guarantor remains financially committed in the event that deportation is required if the recipient should violate the Dominican law. This letter of guarantee must be signed by a notary of the Dominican Republic and legalized by the Attorney General's Office of the Dominican Republic. Visa application letter from the beneficiary addressed to the Consular Section containing name, nationality, place of residence and occupation, as well as information on reasons for seeking to establish in the country (Of Dominican origin, child of a Dominican, Dominican spouse, as pensioner, or investor). Student visas are issued for travelers whose purpose is to study in the Dominican Republic and who have already been accepted by a Dominican educational institution. This visa must be renewed each year for as long as the applicant fulfills the conditions required. Acceptance certification of the University or the Center of Studies. This submission should specify the level of studies to be performed, the institution selected and the duration of the program. Document with proof of scholarship (if applicable) or from the institution financially supporting the student, in the event that the studies are funded by an institution in their country of origin or a scholarship. This document must specify the amount of financial support or scholarship, and its duration. In both cases, this record must be written on official letterhead and certified by the institution. In the case of minors, permission of the parents or guardian when the applicant is not the mother or the father. If the child is not to be accompanied into the country by both parents, it is required that the parent who is not in the Dominican Republic authorizes the other parent to move with the child to the Dominican Republic. This document must be notarized, translated into Spanish and both the original and the translation Apostilled. Alternatively, once the original document is Apostilled it can be sent for translation by the Consular Section (see translation services). Legible photocopy of former Dominican visas or residence card (if renewal). Business visas are issued for travelers with business, professional or commercial purposes. They are granted for one (1) entry within 60 days of issue and may be renewed upon request within the period of validity. Business visa with multiple entries will be issued if the person needs to travel more frequently to the country. This visa is valid for one (1) year during which the beneficiary may not remain in the country more than two consecutive months. Document with proof of the type of business to be carried out in the Dominican Republic. It may be a document from the institution, agency or company, at which business activities will take place in the Dominican Republic. Criminal Record Certificate issued by the appropriate authorities of the country in which the person resides at the time of application. This document must be notarized, translated into Spanish and both the original and the translation Apostilled. Alternatively, once the original document is Apostilled it can be sent for translation by the Consular Section (see translation services). If the applicant has previously resided in the Dominican Republic that document must be issued by the Attorney General's Office. Visa application letter from the beneficiary or from the company or institution for which the applicant works, addressed to the Consular Section containing name, nationality, place of residence and occupation. Business visas are issued for work purposes to those who by nature of their occupation will remain in the Dominican Republic for a year without necessarily having to leave the country. This visa is usually awarded to individuals who are fulfilling fixed-term contracts in public or private companies established in the country and may be renewed for further periods of one year while the employment contract is still valid. Beneficiaries of this visa can apply for driver's license, open a bank account and enjoy applicable customs facilities. 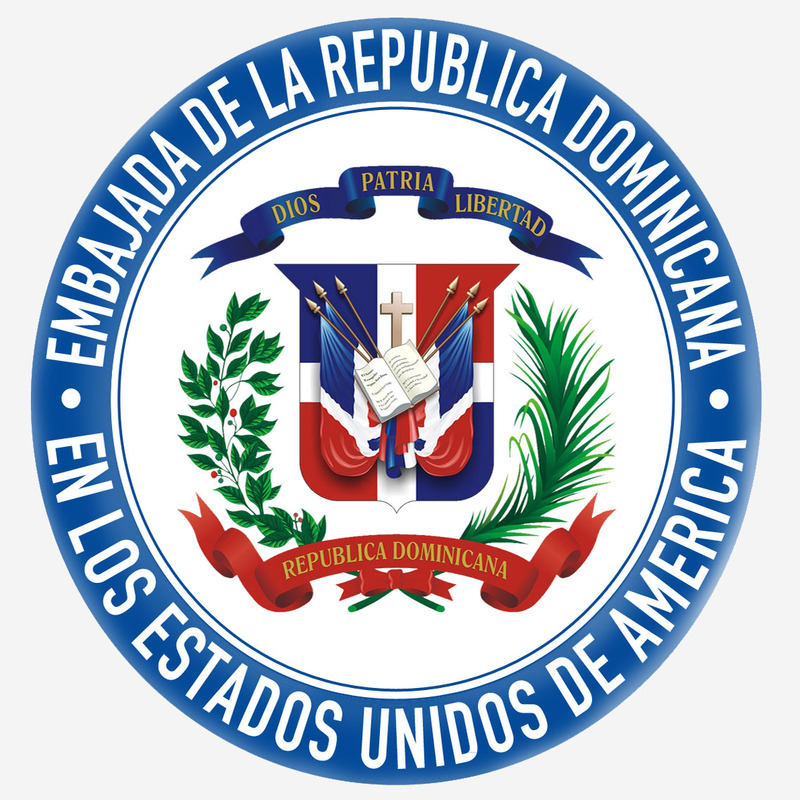 Resolution of the Ministry of Labor of the Dominican Republic. This resolution is issued by the Labor Department of the Ministry, legitimizing the applicant's employment contract in the Dominican Republic, which specifies the employee's position within the company, contract length and salary to be received. Visa application letter from the beneficiary or from the company or institution for which the applicant works addressed to the Consular Section containing name, nationality, place of residence and occupation. If the application includes spouse and children applying for a dependent visa, marriage certificate and birth certificate of children, must be attached to the file. These documents must be notarized, translated into Spanish and both the original and the translation Apostilled. Alternatively, once the original document is Apostilled it can be sent for translation by the Consular Section (see translation services). Diplomatic visas are granted to members and families of diplomatic and consular missions, including members of international organizations. Official visas are granted to government officials and / or international organizations and their families who are holders of official passports traveling to the country on an individual basis or an official matters. Courtesy visas are granted at the request of the Department of State or multilateral organizations to certain officers and their families who travel to the country with ordinary passports. Between 2 and 5 working days depending on date of travel, prior requests and staff availability. Dependant Visas are issued for family members of beneficiaries of diplomatic, official, courtesy, business and student visas, subject to the type of visa granted to the main family member or employer on whom they depend. Marriage certificate and birth certificate of children. This document must be notarized, translated into Spanish and both the original and the translation Apostilled. Alternatively, once the original document is Apostilled it can be sent for translation by the Consular Section (see translation services). Criminal Record Certificate issued by the appropriate authorities of the country in which the person resides at the time of application. This document must be notarized, translated into Spanish and both the original and the translation Apostilled. Alternatively, once the original document is Apostilled it can be sent for translation by the Consular Section (see translation services). If the applicant has previously resided in the Dominican Republic that document must be issued by the Attorney General's Office. Not required for minors. Application letter from the beneficiary addressed to the Consular Section containing name, nationality, place of residence and occupation, as well as information on reasons for seeking to establish in the country (Of Dominican origin, child of a Dominican, Dominican spouse, as pensioner, or investor). A) Who can enter the Dominican Republic WITHOUT VISA carrying a DIPLOMATIC OR OFFICIAL PASSPORT? B) Who does not require VISA or a TOURIST CARD to enter the Dominican Republic? C) Who can enter the Dominican Republic with a TOURIST CARD for tourist purposes? Any person legally able to travel or reside in the United States, Canada and European Union (including Britain) do not need visa to visit the Dominican Republic for tourist purposes. You must purchase a Tourist Card and be carrying a valid passport. Las solicitudes de visa pueden ser remitidas por correo. Las solicitudes deben incluir un sobre franqueado con la dirección de los destinatarios. La TARJETA de TURISTA es un impuesto que cobra la República Dominicana a quienes visitan el país con fines turísticos exclusivamente. La misma puede ser obtenida online bajo https://www.dgii.gov.do/Tturistaweb/ o directamente en el Aeropuerto a su llegada a la República Dominicana. Algunos Tour-Operadores incluyen la TARJETA de TURISTA en sus paquetes de viaje. Además deberá presentar su pasaporte en vigor al momento de entrar a la República Dominicana. Toda persona que legalmente pueda viajar o residir en los Estados Unidos de América, Canadá o La Unión Europea (incluida Gran Bretaña) no necesita visa para visitar la República Dominicana para fines turísticos. Debe adquirir la Tarjeta de Turista y ser portador de un pasaporte en vigor. Formulario de Visa debidamente llenado a máquina o en letra de molde legible. Una (1) fotografía tamaño 2 x 2 pulgadas, de frente y con fondo blanco. Autorización de los padres o tutor, cuando se trata de un menor de edad y quien solicita no es el padre o la madre. Esta debe ser notarizada, traducida al español y ambos apostillados por la autoridad correspondiente. No obstante el original apostillado también puede ser enviado para traducción a la Oficina Consular, ya que las traducciones realizadas por la Oficina Consular no requieren apostilla para ser válidas en la República Dominicana. Ver traducciones. Fotocopia legible de anteriores visas dominicanas o tarjeta de residencia (si se trata de renovación o si se ha viajado anteriormente a la República Dominicana). Certificado de Antecedentes Penales expedido, traducido al español y apostillado por las autoridades correspondientes del último país en el que estuvo domiciliado el interesado. No obstante el original apostillado también puede ser enviado para traducción a la Oficina Consular, ya que las traducciones realizadas por la Oficina Consular no requieren apostilla para ser válidas en la República Dominicana. Ver traducciones. Si el interesado ha residido en la República Dominicana deberá hacerse expedir dicho documento por la Procuraduría General de la República. No requerido para menores de edad. Entre 10 y 15 días laborables a partir de la solicitud, dependiendo de la fecha de viaje, de las solicitudes previas y de la disponibilidad del personal. Las entradas múltiples están previstas para turistas de Crucero o aquellos turistas que requieren entrar y salir por avión más de una vez, mientras dura el período de la visa. Certificado Médico presentando un diagnóstico del estado general de salud del solicitante e indicando si el mismo padece de algún tipo de enfermedad infectocontagiosa. Deberá ser expedido, traducido al español y apostillado por las autoridades de salud correspondientes del último país en el que estuvo domiciliado el interesado. No obstante el original apostillado también puede ser enviado para traducción a la Oficina Consular, ya que las traducciones realizadas por la Oficina Consular no requieren apostilla para ser válidas en la República Dominicana. Ver traducciones. Certificado de Antecedentes Penales expedido, traducido al español y apostillado por las autoridades correspondientes del último país en el que estuvo domiciliado el interesado. No obstante el original apostillado también puede ser enviado para traducción a la Oficina Consular, ya que las traducciones realizadas por la Oficina Consular no requieren apostilla para ser válidas en la República Dominicana. Ver traducciones. Si el interesado ha residido en la República Dominicana deberá hacerse expedir dicho documento por la Procuraduría General de la República. No requerido para menores de edad. Autorización de los padres o tutor, cuando se trata de un menor de edad y quien solicita no es el padre o la madre. En este caso, se requiere que el padre o la madre que no está en la República Dominicana manifieste conformidad ante un notario público con que el otro padre lleve a vivir a la República Dominicana al menor. Este debe ser traducida al español y ambos apostillados por la autoridad correspondiente. No obstante el original apostillado también puede ser enviado para traducción a la Oficina Consular, ya que las traducciones realizadas por la Oficina Consular no requieren apostilla para ser válidas en la República Dominicana. Ver traducciones. Acta de Nacimiento, expedida, traducida al español y apostillada por las autoridades correspondientes. No obstante el original apostillado también puede ser enviado para traducción a la Oficina Consular, ya que las traducciones realizadas por la Oficina Consular no requieren apostilla para ser válidas en la República Dominicana. Ver traducciones. Acta de Matrimonio, expedida, traducida al español y apostillada por las autoridades correspondientes. No obstante el original apostillado también puede ser enviado para traducción a la Oficina Consular, ya que las traducciones realizadas por la Oficina Consular no requieren apostilla para ser válidas en la República Dominicana. Ver traducciones. Las actas de matrimonio dominicanas deben haber sido expedidas por la Oficina de la Junta Central Electoral más cercana en los últimos seis (6) meses, anexando fotocopia de la cédula del esposo(a) de origen dominicano. Si el esposo(a) es residente legal de la Reública Dominicana debe adjuntarse copia de la residencia permanente o cédula de extranjero(a). Carta de Garantía (Notarizar). Suscrita por un dominicano o extranjero residente legal en la República Dominicana y debe especificar el tipo de relación que lo une con el beneficiario de la visa. Asimismo, el garante se comprometerá ante las autoridades dominicanas a solventar cualquier gasto en que estas incurran por cuenta del beneficiario de la visa. De la misma manera el garante quedará comprometido económicamente en el caso de que sea necesaria la deportación del beneficiario por haber violentado las leyes dominicanas. Esta carta de garantía debe ser realizada por ante un notario de la República Dominicana y legalizada por la Procuraduría General de la República. Carta de solicitud de visa dirigida por el beneficiario a la Oficina Consular contentiva de nombre, nacionalidad, lugar de residencia y actividad productiva a la cual se dedica, así como información sobre cómo proyecta establecerse en el país (como dominicano de origen, hijo de dominicano, cónyuge de dominicano, en calidad de pensionado o inversionista). Debe adjuntarse cualquier documento adicional que sustente el motivo de la solicitud. Autorización de los padres o tutor, cuando se trata de un menor de edad y quien solicita no es el padre o la madre. En este caso, se requiere que el padre o la madre que no está en la República Dominicana manifieste conformidad ante un notario público con que el otro padre lleve a la República Dominicana al menor. Este debe ser traducida al español y ambos apostillados por la autoridad correspondiente. No obstante el original apostillado también puede ser enviado para traducción a la Oficina Consular, ya que las traducciones realizadas por la Oficina Consular no requieren apostilla para ser válidas en la República Dominicana. Ver traducciones. Las visas de negocios son expedidas para viajes de negocios, profesionales o con fines comerciales. Se otorgan de una entrada por sesenta (60) días y podrán ser renovadas a solicitud del interesado dentro del período de vigencia. Si la persona necesita viajar al país con mayor frecuencia puede solicitar una visa de negocios con entradas múltiples válida por un año, no pudiendo permanecer en el país más de dos meses consecutivos. Documento que dé constancia del tipo de negocio que hará en la República Dominicana. Puede ser documento de la institución, organismo, empresa o persona física o jurídica con la cual llevará a cabo actividades de negocios en la República Dominicana. Certificado de Antecedentes Penales expedido, traducido al español y apostillado por las autoridades correspondientes del último país en el que estuvo domiciliado el interesado. No obstante el original apostillado también puede ser enviado para traducción a la Oficina Consular, ya que las traducciones realizadas por la Oficina Consular no requieren apostilla para ser válidas en la República Dominicana. Ver traducciones. Si el interesado ha residido en la República Dominicana deberá hacerse expedir dicho documento por la Procuraduría General de la República. Carta de solicitud de visa suscrita por la empresa o institución a la que pertenezca el beneficiario, contentiva de nombre del beneficiario, nacionalidad, lugar de residencia, actividad a la cual se dedica, medios económicos con los que cuenta y propósito de viaje al país. Las visas de negocios con fines laborales se otorgan a aquellas personas que por la naturaleza de su ocupación permanezcan durante un año en el país, sin obligatoriamente tener que salir al exterior. Generalmente se otorgan a personas que cumplan contratos por tiempo determinado en empresas públicas o privadas establecidas en el país, pudiendo ser renovadas por igual período de tiempo, mientras dure la vigencia del contrato en cada caso. Los beneficiarios de esta visa pueden gestionar licencia de conducir, apertura de cuenta de banco y las facilidades de aduanas que le correspondan. Resolución del Ministerio de Trabajo de la República Dominicana. Esta resolución es expedida por el Departamento de Trabajo de dicho Ministerio, legitimando el contrato de trabajo del solicitante en la República Dominicana, el cual especifica el cargo o la posición del empleado dentro de la empresa, duración del contrato y sueldo a percibir. Carta de solicitud de visa dirigida a la Oficina Consular por el solicitante o su representante legal, contentiva de nombre y nacionalidad del beneficiario, lugar de residencia y actividad a la cual se dedicará en el país. Si la solicitud incluye al cónyuge e hijos para visas de dependencia debe anexarse al expediente acta de matrimonio y acta de nacimiento de los hijos, ambos documentos debidamente apostillados y traducidos. Visas diplomáticas se otorgan a miembros y familiares de misiones diplomáticas y consulares, incluyendo a miembros de organismos internacionales. Visas oficiales se otorgan a funcionarios gubernamentales y/o de organismos internacionales y sus familiares poseedores de pasaportes oficiales que viajen al país en forma particular o en gestiones propias de su cargo. Visas de cortesía se otorgan a solicitud del Departamento de Estado u organismos multilaterales a ciertos funcionarios y sus familiares que viajen al país con pasaportes ordinarios. Entre 2 y 5 días laborables a partir de la solicitud, dependiendo de la urgencia, de las solicitudes previas y de la disponibilidad del personal. Estas visas están libres de costo. Carta de solicitud de visa dirigida a la Oficina Consular por la persona de quien depende el beneficiario, quien deberá identificarse, presentar pruebas de que posee visa de estudiante o de negocios múltiple por un año (en este último caso dicha comunicación deberá ser suscrita por el organismo del cual depende el beneficiario del visado). Asimismo, deberá indicar si la persona a favor de quien se solicita la visa depende de él por lazos familiares o por relación de trabajo. A) ¿Quienes pueden entrar a República Dominicana SIN VISA portando PASAPORTE DIPLOMATICO U OFICIAL?